If you get a popup that you cannot contact the license server update VisualC++ 2013 from this link. Should the license code not appear in your account, please use the email address that you used to purchase HM2. If you can not activate or register Holdem Manager 2, the following solutions should help resolve the issue. An Administrator must run Holdem Manager at least once before limited users can be validated. Note: DO NOT use Internet Explorer when attempting to reset your code! Please choose another browser. We have launched a new online form for resetting your own serial codes. 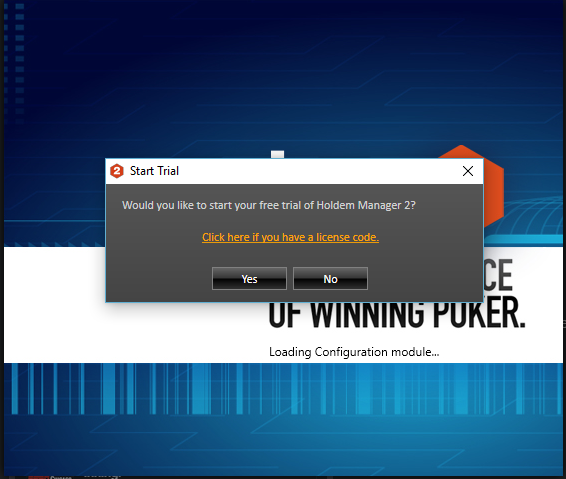 Simply login to your account then click on the 'License Keys' header to expand it and click the 'Reset All Profiles' button to the right of your 'HoldEm Manager 2 Licensing system' SKU that starts with HM2-. This can be used to clear a code. Then it can be used on a different pc. Also, clear a code if your hardware profile changes and it does not allow you to continue. You also will need to do this if you re-install your Operating System. If you forget your password, click on Forgot Password. If this fails, please use a web browser other than Internet Explorer and make sure you use the correct email address for your account. If you forgot your username, or the password retrieval was unsuccessful, send a new email to sales@holdemmanager.com. They will forward the details. Support does not have access to this information. So, you must send a new email to sales. Otherwise, your response time may be delayed. Right click the HoldemManager.exe and choose “Properties”. Go to the Compatibility Tab. Select “Run this program as an Administrator”. If the option is greyed out, this is because UAC is disabled. In which case, enable UAC. Reboot the PC. Then do step 3 and disable UAC again. Next, Enable the option to see Hidden Files and Disable “Hide protected operating system files”. It should look like this. Note: If you can not find that file DO NOT delete any other files. The licensing system uses the Proxy settings of your Internet explorer. So your Internet explorer must work and be capable of connecting to the Internet. Open your Internet Explorer and go to Tools / Internet Options / Connections and click on "LAN-Settings" at the bottom. Uncheck every box in the small new menu and click ok. Try to register HM again. If that does not work try to enable the [x] Auto-Detect option and try again. "Could not activate license at server. The license is still encrypted and the internal properties cannot be accessed. To decrypt you must validate the license." "Detected tampering or unauthorized removal of secure storage. An administrator must run the application at least once before limited users can be validated." 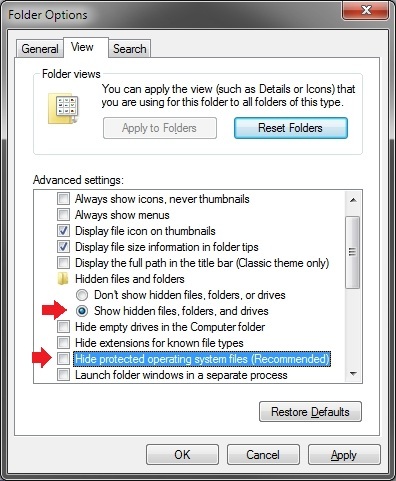 2) Enable the option to see Hidden Files and Disable “Hide protected operating system files”. It should look like this. 4) Reboot the PC and Log in to the new windows user account, and try to register again. 5) If that works, reboot, log in to the normal user, and test to make sure everything works before deleting the temporary user. If you continue to have registration issues see this FAQ for instructions on how to copy the \HM2Logs folder to your desktop and zip/email it to our support team.